Discover Music, Media and More by STILLAMESS! Are you a Messfam member? How would you like to receive ticket info? Special performance by STILLAMESS! 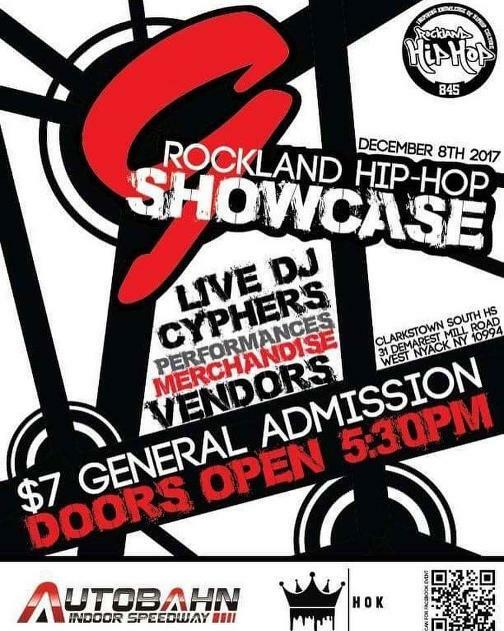 Rockland's Annual Hip-Hop Showcase returns for its 9th time. Join us in a night of open dance cyphers, vendors & sponsors, dance and rap performances, and more.... Hosted by Alim SC-One Scarpelli 5:30pm - Doors open for open cyphers, vendors, and art tables. 7:15pm - Hip-Hop Perormace showcase until 9:30pm (With open cypher intermission.) We welcome all artists, dancers, musicians, businesses, and organizations to participate in this years show. Feel free to contact us and ask how to get involved. Please leave a comment or shoot Alim SC-One Scarpelli a message for this years registration form if you're interested in beng a vendor. Showcase sign ups will begin October 31st! (Please leave a comment on this event page in order to recieve your performance registration form). Vendor tables - $60.00 General Admission - $7.00 (Kids 5 & under are free) Performers - $10.00 If you have any questions about being involved in this years event, feel free to reach us at (845) 893 8905 or contact us through our facebook page.